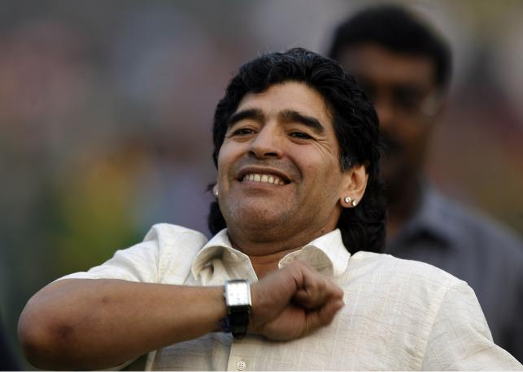 Argentine football legend Diego Maradona has been appointed as the new coach of second-division Emirati side Al-Fujairah, he said on Sunday. “These are my new colours,” Maradona, 56, wrote on his Facebook page alongside a picture of himself holding the club’s red and white jersey with his name and number 10 on the back. The 1986 World Cup winner was in charge of the Argentina national team from 2008 to 2010. He then spent a year with another UAE-based club, Al Wasl, between 2011 and 2012.